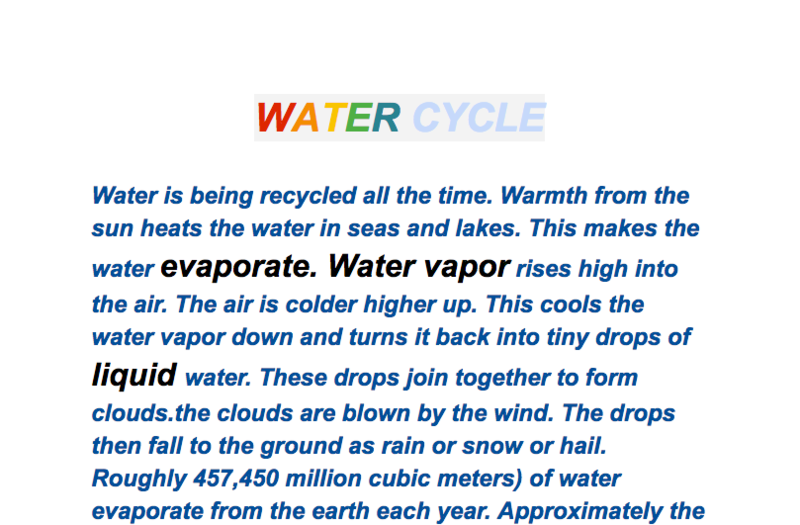 I know that the water cycle goes around and around. 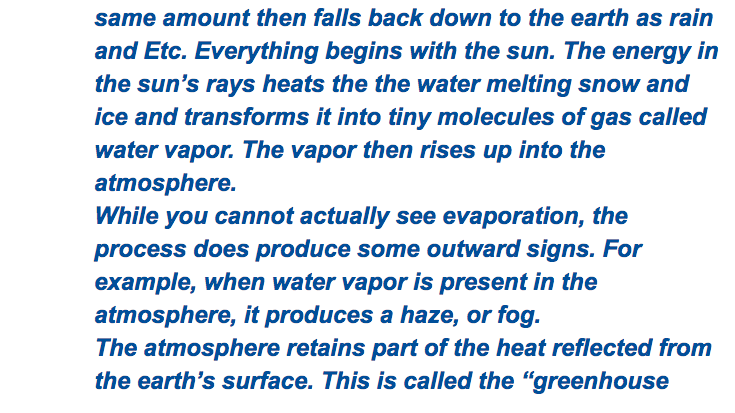 How does water go up into the sky? The fun thing about it was doing the whole project because I like to make thing like project and crate things. Even though that was fun, some things were tough. 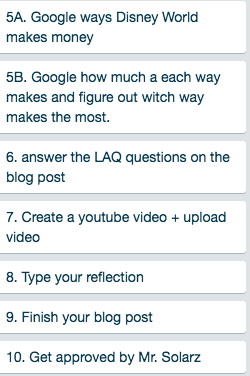 For example, the most difficult thing was doing the quick part when you have to record your video.The easy thing about the project was to do the KWH because all you had to do was just write about what you what I know and What do I what to and how do I learn it. Why can't people dig or go through bedrock? Some facts about it. what diferent tribes ate in diferent climents? By reading books from the classroom or library. 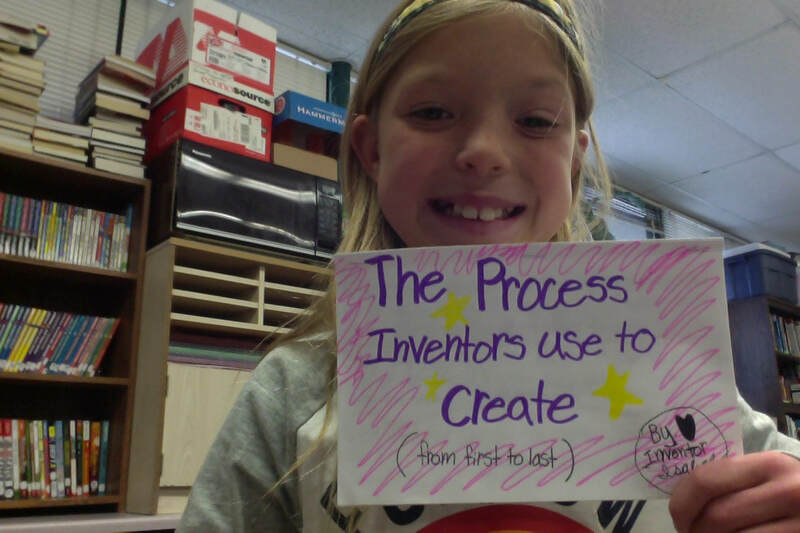 Can I learn about the process Inventors use and try to make my own Invention? by Isabel B. All I think I know is Inventors think of a topic that would help or just to make things more fun. 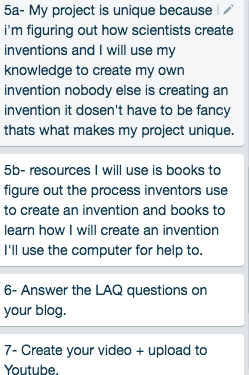 Once they have their topic inventors try to make their idea possible. they start with a sketch of their idea. After that inventors put the materials their going to need. I learned that their are many steps for creating an invention. so I made a flip book that explains the process. 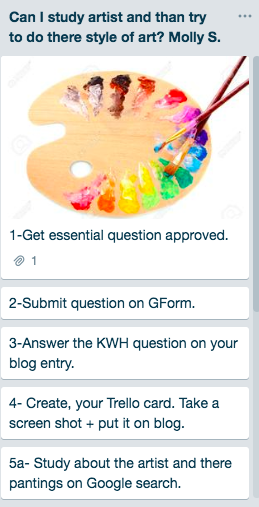 There are many steps because you have to think up a topic. Look on The internet to see if there aren't any stuff similar to yours. And you need a plan. 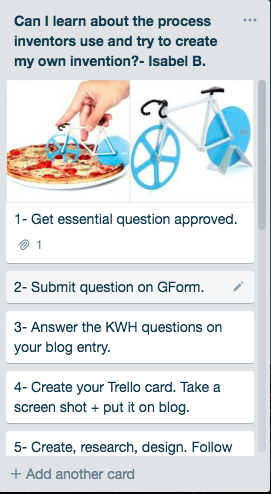 + after a patent it's a lot so my book brakes it down into 7 easy steps. I really want to learn how inventors create inventions. Once I know that I want learn to make my own I've always wanted to create/invent my own invention. It seems cool and like a lot of fun. I started watching a you tube video about the steps and process. I wrote down what I learned in my spirel notebook. 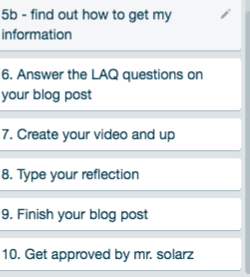 After that I copied it down into a how to book. Could I create my own invention using my book? 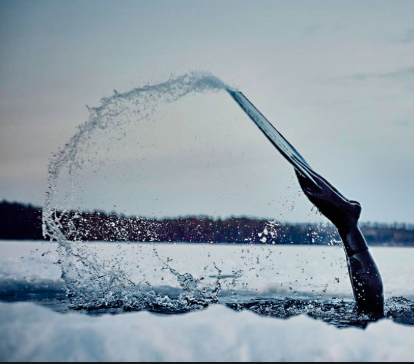 She is a famous ice diver that hurt her leg very badly and survived. I also know that she holds her breath under water instead of using an air tank. In 2004, she broke the female record of free diving with fins by swimming 158 meters in 6 mins and 39 seconds. She was also head of the mens national free diving team, getting them ready for 2014 cup in Italy. After a bicycling accident in 2010, she broke her leg, this is when she started cold water treatment because she was in danger to losing her leg from necrosis in 2013, so she took the advice in recommendation of her doctor. When she is ice diving she likes to put her hands on the ice above her and touch the ice. I want to know all about her early life and why she wanted to ice dive without an air tank. I also am really interested in her leg injury. I will take a picture of my final product and make a video of my final product. I achieved what I wanted, which was to make a model of what ice diving is and study Johanna Norblad. I will research about Joanna and make a model of what ice diving looks like out of Legos, string, and maybe some popsicle sticks. 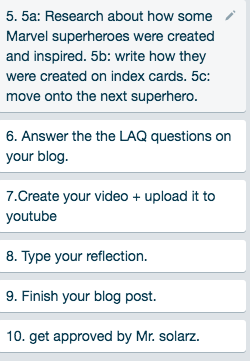 I will also make a Trello card. A few new questions I have now are how does cold water treatment help a broken leg? Some other questions I have are what makes her not want to use an air tank? and what made her start ice diving? I learned that she broke her leg and she had to use cold water treatment. This is what made her start ice diving. The most difficult part of my project was finding all of my facts about her because ice diving is not a common sport. 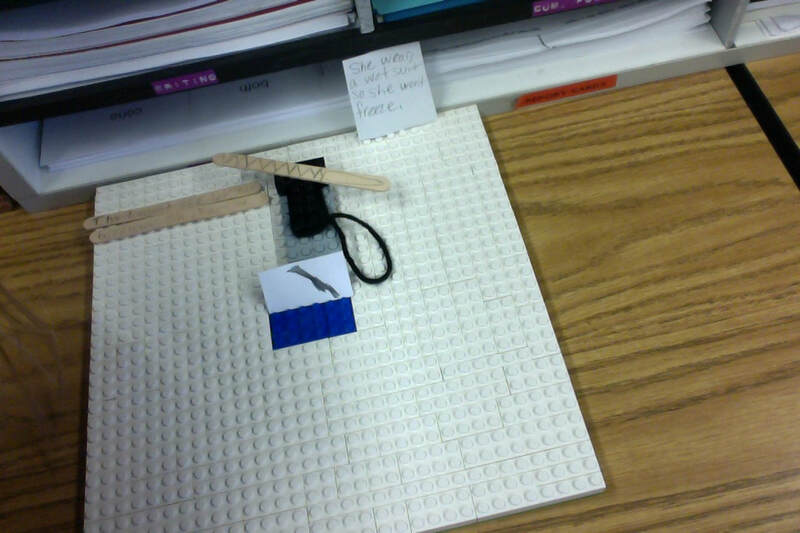 The easiest part was when I got to build my ice diving model out of legos. It was also the most fun object I got to make. What I would have done differently is mabye do the things that take longer first and then the things that are easier after that. 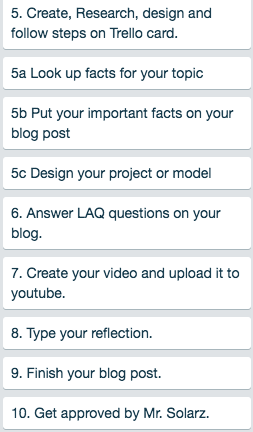 I liked doing my passion time project. Can I study artists and than try to do their style of art? Molly S.
I know that all artist do different styles of art that they like that they are good at and some times the art that they do means something and has a story about it. I learned that he was very good at capturing beauty and emotion in his art.Also he liked painting self portraits. He only sold one painting in his life the Red Vineyard. His best friend was also an artist. 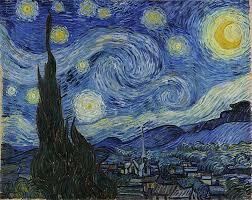 I want to know about one artist, Vincent van Gogh and his paintings. What ACTION will I take ? I am going to tell my siblings and my parents about what I learned. I am going to research about him and his paintings and than try to do his style of art. I want to know when he was born and when he died. Also I want to know how many paintings he painted in his life. I learned that that he was good at capturing beauty and emotion in his art. 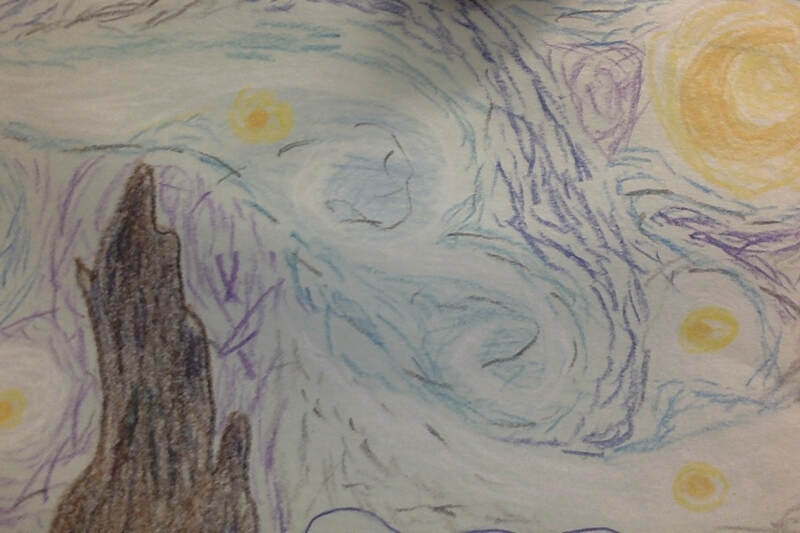 I thought that drawing starry night was the funnest thing that I did. It was difficult in the beginning when I didn't really get what you where supposed to do. But it was easier once I new what to do. I had a lot of fun!!!! Can I learn about city life during the crusades by Edy C.
In What Ways Does Disney World Make Money and Which Way Makes Disney World the Most money? 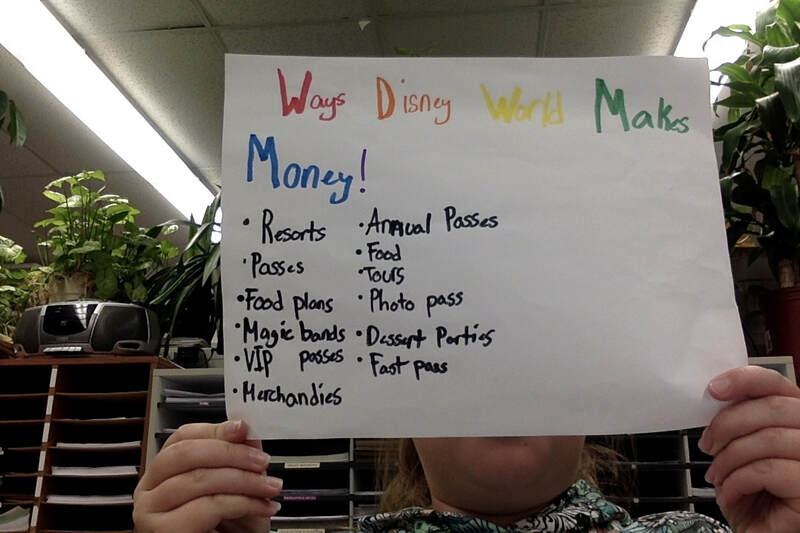 by Molly D.
I Know that Disney World makes lots of money in many different ways and I know Disney World is very costly. I learned that there are a lot more expenses than I thought. I knew you had to pay for resorts and food plans but, I didn't know that you had to pay for magic bands (your way to get into the park.) It also showed me that just for one day at the park you could about a thousand dollars! I want know in what ways Disney World makes money and what way makes the most. The action that took was, to make a youtube video and a chart. I made two charts. One of the charts has the ways that Disney World makes money and, another chart that has the costs of each way. Then, to take more action I will tweet my posters out on twitter. I will make a list of what ways I think Disney World can make money from. 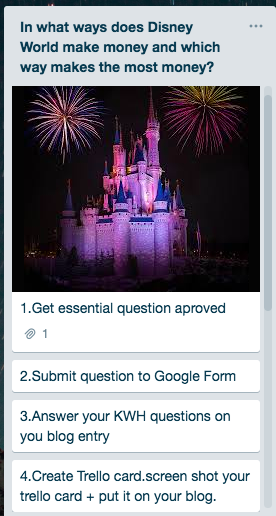 Then I will google ways Disney World makes money and add anything that I missed. Then I will google how much Disney World makes money in that way and figure out witch way makes the most money. 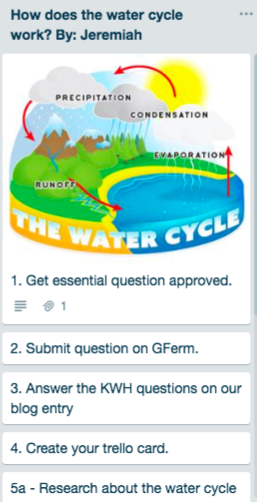 Can I make a planning guide to guide people through planning a trip? Can I research about Disney Worlds history? 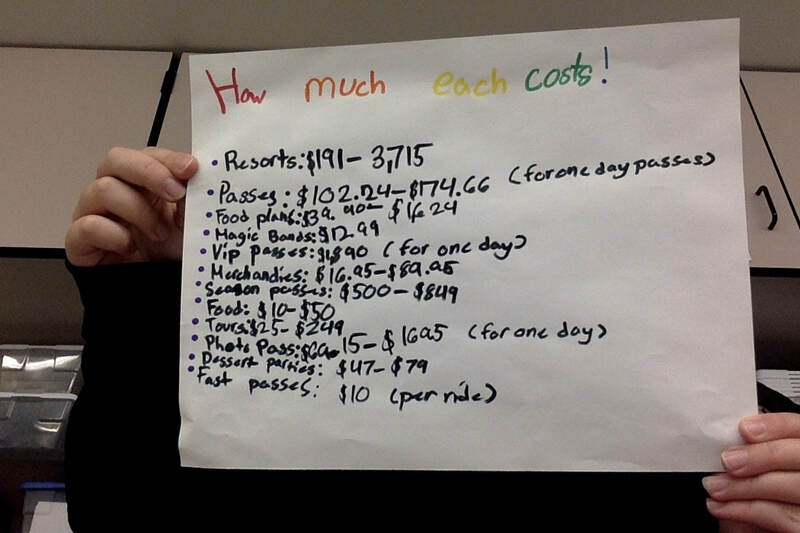 In my passion time project this round (what ways does Disney World make money and which way makes the most)I learned that resorts cost between $191- $3,715 (for one night), Passes cost (for one day) between $102.24- $174.66. Food plans cost (for one day) between $39.90- $1,624, Merchandise cost between $16.95-$89.95, Season passes cost between $500 and $849. Food cost between $10-$50, tours cost $25 and $249, photo passes cost between $69.15 and $1,695. Dessert Passes cost between $47 and $79 (for one person). Magic bands costs $12.99 (for one band) and fast passes cost $10. The resorts cost the most out of all the ways I found. The most fun thing to do was research the ways. The most difficult things were finding the cost for the ways. Those are the things I learned, had the most fun doing and what I thought was the most difficult. I know the superheroes powers and names. Spider-Man: Spider-Man was inspired when his creator saw the person called spider (not a real person) and was inspired more when he saw a spider crawl up his wall. Spider-Man has super strength can crawl up walls and made his own web shooters. Captain Marvel or Carol Danvers is a female superhero and the strongest hero in Marvel universe, having the power to move planets( only in the Marvel cinematic universe but she is still the most powerful hero in the comics). Captain Marvel(as Carol Danvers) was in the United States air force. Iron man or tony stark is a wealthy American business magnate, ingenious jury from when he got kidnapped. Iron man has no superpowers but has a powerful iron suit. Captain America was created during world war 2, which was very important to its creation because he a super-soldier( a person that had stuff injected into him to give him enhanced physical capabilities) that served for America. Wolverine is a mutant who has animal like senses, enhanced physical capabilities, a healing factor (regeneration stuff ), and three retractable claw made out a fictional metal called admantium. how they were inspired and created. 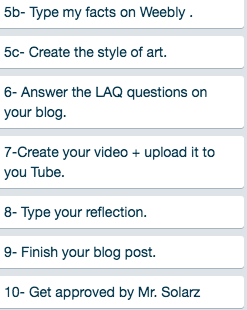 make my video then post it on youtube and put it on here. I will use google searches. 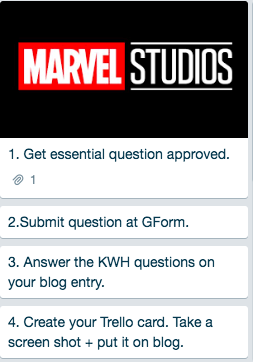 I learned a lot of stuff about my favorite Marvel superheroes. Our first exploration of our personal interests! We'd love kind comments if you have the time!